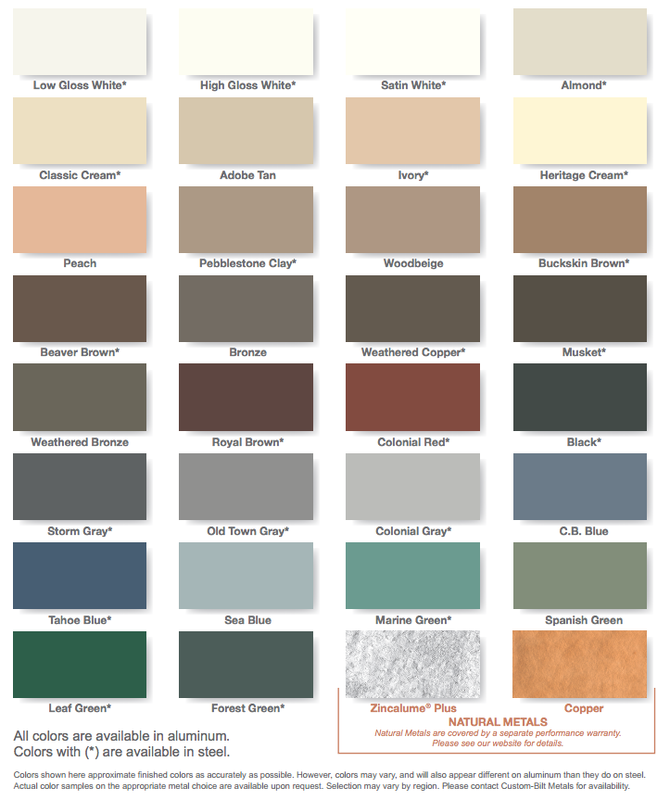 All gutters and downspouts are available in 32 beautiful baked-on enamel colors. The finest paint and application process is used. Guaranteed not to crack, chip, peel, or blister for forty (40) years! Your sales representative will be happy to help you select just the right type and color for your home.